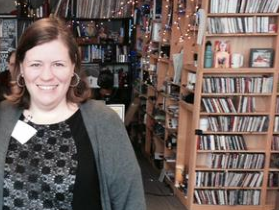 My interview with Jackie of Reach Out and Read. 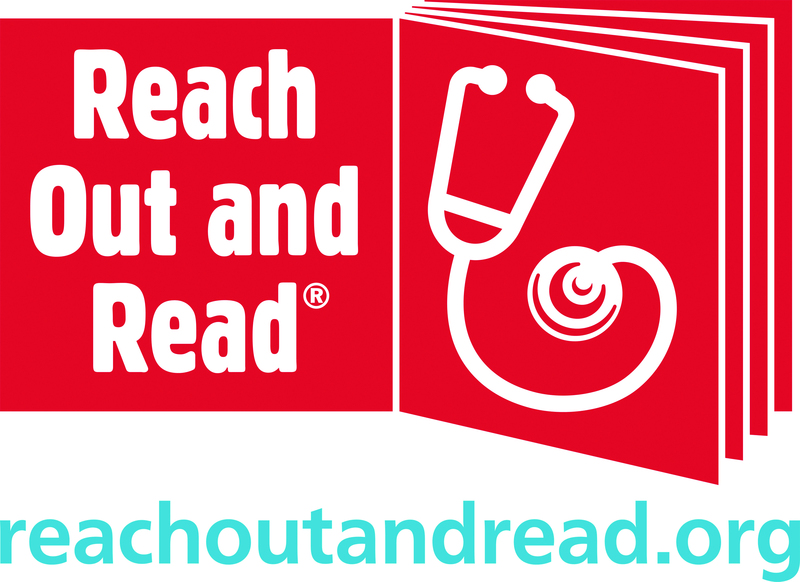 Reach Out and Read is an evidence-based nonprofit organization that promotes early literacy and school readiness in pediatric exam rooms nationwide by giving new books to children and advice to parents about the importance of reading aloud. Currently, Reach Out and Read serves more than 4 million children annually in all 50 states via nearly 5,000 health centers, hospitals, and pediatric clinics. To learn more, visit www.reachoutandread.org. Find us on Facebook at facebook.com/reachoutandread and follow us on Twitter @reachoutandread. Naomi: How did you come to work for (or start) Reach Out and Read ? Jackie: I was working for Charlesbridge Publishing and Reach Out and Read was one of my customers. When I saw that they were advertising for someone to work with the medical providers who give the books to the children, ages six months through five years, I immediately applied. As much as I enjoyed working in publishing, I wanted to be part of a group that ensures children have books in their homes. Naomi: How can librarians help Reach Out and Read? Jackie: Librarians already do so much to help the children in communities all across the country-offering great books, story times and programs despite budget cuts. Reach Out and Read has worked with the American Library Association (ALA) on a number of projects including a presentation at ALA Annual 2011 with the ALSC on how librarians can work with pediatric offices to help promote the use of libraries. Librarians, doctors and nurses, and teachers all know that children who are read to are likely to grow up with a love of books as well as being prepared to succeed in school. If any librarian is interested in finding out if there is a clinic or hospital with a Reach Out and Read program near them, they can contact me at books@reachoutandread.org and I can forward their contact information to the coordinator at the nearest program. Jackie: I love libraries so much that I grew up and became a librarian. In addition to being the person who selects and purchases the books for Reach Out and Read, I am a part-time reference librarian at a public library. My mother made sure to us to the library each week where we could each take out five book-no small task as I am one of eight children. Mom also read to us every evening-it may have been the only time she got to sit-but I can remember all of us draped about her as she read each night. Even my then teenage oldest brother joined us for stories such as The Tale of Peter Rabbit when my mother read to the youngest. The Woburn Public Library in Woburn, Massachusetts where I grew up was the first library designed by H. H. Richardson famous for the Trinity Church in Boston. It’s a marvelous place filled with balconies, high ceilings and dark wood. I can still remember my surprise as a child when I was taken to another local library and discovered that libraries do not all look like cathedrals filled with books. When I realized that this library had books I had never seen before, I was thrilled. I still go on busman’s holidays and check out libraries wherever I am. Then, of course, where all the remarkable librarians I have met through the years…amazingly intelligent women (a few men, as well) who are relentless in finding the answers to any reference question. Jackie: There are lots of books that were significant at different points: Miss Suzy by Miriam Young and illustrated by Arnold Lobel was the book my siblings and I made my mother read to the point our copy fell apart. I found a copy at a yard sale and was almost trampled to death by siblings, now all well into adulthood, when I pulled it out of my bag at a family party. Dorothy Gilman’s Mrs. Pollifax books got me through the first few months after my husband died and later the novel, All That Heaven Allows, by Edna L. Lee and Harry Lee helped me move on with my life. Jackie: A Tree Grows in Brooklyn, To Kill a Mockingbird, Sabrina but only the 1954 Audrey Hepburn version, and Charly (Flowers for Algernon by Daniel Keyes) are four great film adaptations of books. As for film to book: I love reading the book adaptations of TV shows and movies I enjoy. Ever read Christopher Golden’s Buffy the Vampire: Child of the Hunt? What a terrific use of Norse mythology! And if kids and teenagers want to read adaptations and companion guides, encourage them to do so. Bruce Colville, a very entertaining children’s author, once told me that the attitude about books and kids is puritanical in this country and he is right. Adults really do seem to insist on having children read books that are deemed “good for them” rather than just letting kids read what interests them. The book may be about princesses or origami aliens rather than one of Dickens’ orphans overcoming the odds but keep in mind that the child is a. reading, b. learning vocabulary not used often in speech and c. Dickens’ books were the popular fiction of his day before they became exalted as classics. Jackie Miller has been happily working with books since she was eighteen years old and got her first job in a bookstore. 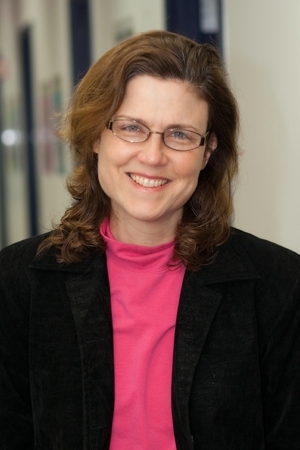 After working at a book wholesaler, a mystery book shop and two children’s publishers, Ms. Miller obtained an MLIS from the University of Rhode Island and works part-time at a public library as well as working at Reach Out and Read.